Water is life. But when water is unsafe and sanitation non-existent, water can kill. Globally, waterborne illnesses are a leading cause of death for children under five, killing nearly 1,000 children every day. UNICEF works in more than 100 countries to improve access to safe water and sanitation facilities. Whether by delivering safe water after a disaster or promoting safe hygiene practices in schools and communities, UNICEF is on the ground helping children in need. The UNICEF Tap Project benefited more than a half million people over 10 years by challenging supporters to drive awareness about global water issues — and raising critical funds for UNICEF’S WASH programs that reach those in need in places like Syria, Iraq and Yemen. Since 1990, with the help of UNICEF and its partners, some 2.6 billion people have gained access to safe drinking water. Yet climate change threatens to undo much of this progress. By 2040, 1 in 4 children — 600 million children — will live in areas of extremely high water stress. The poorest, most disadvantaged children will suffer the most. UNICEF provides children and families access to safe water and sanitation while promoting safe hygiene in over 100 countries. For $46, UNICEF can provide a family with an emergency water and hygiene kit. Every day, 1,000 children die from diseases caused by unsafe water or inadequate sanitation. Thanks to UNICEF and its partners, 2.6 billion people have gained access to clean water since 1990. The effects of climate change intensify risks for the world's most vulnerable children. 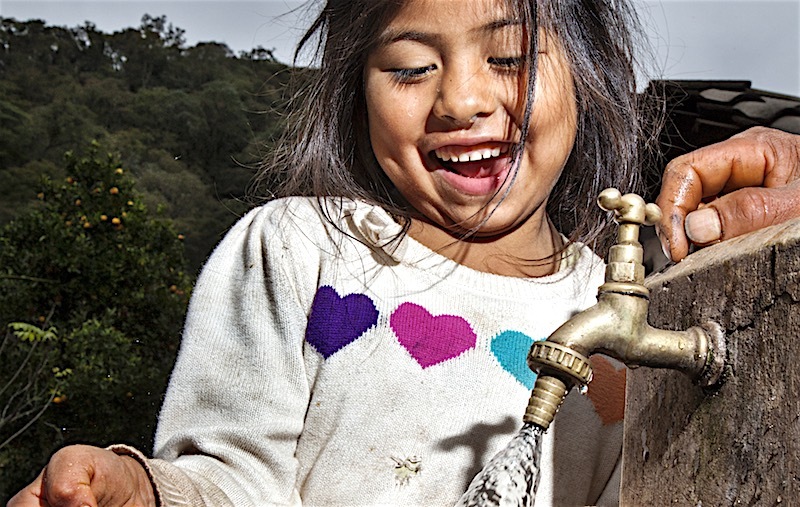 It started with a challenge; it ended with over 500,000 people having access to safe water. See how UNICEF is making an impact worldwide. 117 million people around the world lack safe, clean water. UNICEF and partners are working to change that.